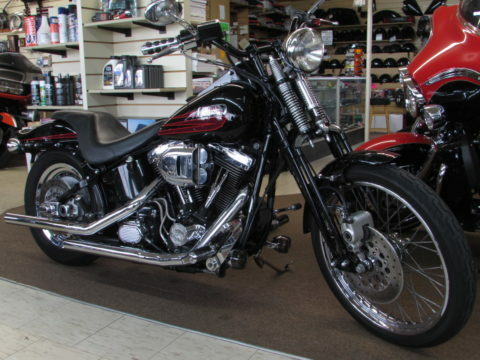 NEW PRICE - $42 Week, This Low 2,800 KM Local Trade 114ci Heritage Softail with Upgraded Vance and Hines Exhaust for a Throaty tone is Ready to Ride, With the Big 114ci Motor and Smooth 6 Speed it is Looking Sharp. Would you like to Save over 6,000? Then this is your Harley. Full Factory Warranty till June 2020. --- Easy Financing and Canada Wide Shipping. INCLUDES Harley-Davidson Factory Warranty until June 29, 2020. This Red Iron Denim Softail Street Bob is here and ready to go featuring Factory Security and the 107 cubic Inch Milwaukee 4 motor. Only 1,780 miles. With 5,700 kilometers, this locally traded 2017 Softail Deluxe 103 is like out of the crate! Has all the best options including Show chrome Profile Wheels with wide white wall Tires, ABS Braking system, Cruise control, Factory Security, and a Very Low Seat Height which provides Light Weight and Easy Handling for Newer Riders. The Rear Passenger Seat and Luggage Rack are easily removable for that Cool Solo Style. 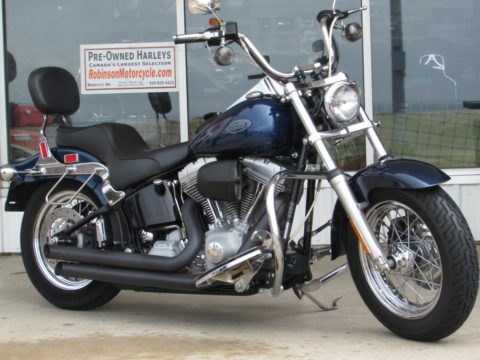 Dress it up with Bags and a Windshield if you like.This Like New 2017 Softail Deluxe will Save you $$$ Thousands out the door from a new 2019. 2017 Harley-Davidson Softail Deluxe FLSTN Softail Deluxe - 867 Miles! COMING SOON!! Vivid Black. 867 Miles. This Spectacular 2016 Slim S has the Massive 110 Screamin' Eagle motor that is Deep and Throaty, Full Stage 1 with Vance & Hines Black Big Shots and hi-flow Breather for Lots of Horse Power and Torque! Its got Interbnally Wired and very Comfortable 12" T Bars that Pull Back for an amazing feel. With ONLY 150 Low miles, Yes 150 miles This Like New Slim (without the new Dealer Mark Up $) is ready to go! -- Easy Financing and Canada Wide Shipping, We Take Trades. From $45 week + tax and licence, at a bike price of $23,900 + tax & licence, at 6,99% with 10% down, up to 180 months, oac. All Open Terms for early pay-out. Choose Your Own Term and Down Payment, other terms available - Apply Today! ONLY $34 Week + tax, at a bike price of $12,900 & licence, at 7,99% with 10% down, up to 120 months, oac. All Open Terms for early pay-out. Choose Your Own Term and Down Payment,other terms available - Apply Today! This CVO Breakout Pro Street features Scorched Chrome, anodized plated Aggressor custom wheels. Restyled derby and timing covers have a new, mechanical look. Sheet metal is finished in two-tone White Gold Pearl/Starfire Black paint. The Aggressor wheel mounts to a 240mm rear tire. The forward controls, new race-inspired seat and handlebar create a riding position perfect for prowling. And a Screamin’ Eagle® Twin Cam 110B™ engine with heavy breather intake, inverted forks and new dual-disc front brakes mean the performance matches the power of its style.The 110 cubic inch engine, the fat rear tire, speed screen, chin spoiler and aggressive stance scream pure American muscle. The Pro Street also features,keyless ignition, ergonomic hand controls and standard anti-lock ABS brakes. 1,590 miles. From $53 week + tax and licence, at a bike price of $27,900 + tax & licence, at 6,99% with 10% down, up to 120 months, oac. All Open Terms for early pay-out. Choose Your Own Term and Down Payment, other terms available - Apply Today! 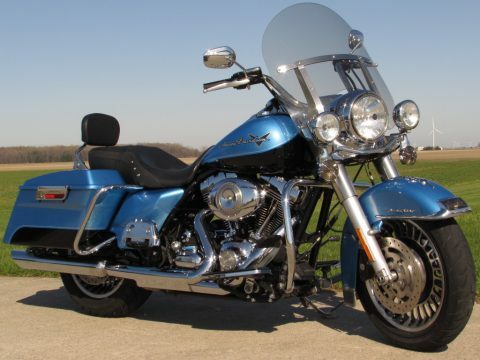 This XL1200T with only 702 miles features Leather Wrapped Saddle Bags, Quick Disconnect Windshield Wide Touring Pegs, Sissy Bar, Re-Located front and Rear Turn Signals and Hi-Flow Mufflers for a little rumble. Comes Fully Serviced and Certified --- Ask About our Canada Wide Shipping at great Rates! INCLUDES our Robinson 2019 Power Train Unlimited-Mileage Warranty. OR, Upgrade your Harley Protection Coverage to a 1 - 3 YEAR PLAN with North American Wide Coverage - Unlimited Mileage - Parts & Labour - Valid at any Licenced motorcycle dealer or mechanic - from Only $1,295 or from $3 week. This MINT 2013 Ducati Hyperstrada 821cc is Available and ready for its next Rider! With a Brand New Rear Michelin Tire, Center Stand, Ducati Saddle Bags and just Super Clean overall. This Powerful Motorcycle is Looking Cool and Rides Amazing, 57,100 Local KM and a New Michelin Rear Tire. Come See it Today --- Easy Financing and Canada Wide Shipping. This Super Cool XL1200X Forty Eight has Over $4,000 in Customizing and Options including: Throaty Stage 1 Vance and Hines Exhaust, Screamin' Eagle Hi-flow intake and EFI Tuning! This XL1200 Forty Eight comes in the MINT Ember red Sunglo Pearl which Looks Awesome and the Cool Solo Le Pera Seat. It has the H-D LED Day Maker Headlight with Full LED Signals and Integrated signal and Brake Kit that really makes your Brake Lights Shine so people See. This Forty Eight has upgraded MINI Apes that Look cool and are Very Comfortable! With ONLY 11,600 miles this Sharp Halrey XL1200X Forty Eight is Ready to Ride --- Easy Financing and Canada Wide Shipping. This Sharp 2013 XL1200X is ONLY $29 Weekly. Black with Orange Flames. 2146 miles. This Stunning 2012 Softail Slim is Looking Amazing and is Ready to Ride - With Over $1,500 in Options and Customizing including: Stage 1 Vance and Hines Tru-Dual Exhaust for a Deep Throaty Rumble and Smooth Power and Torque! With ONLY 12,500 low miles this 2012 Softail Slim 103ci is Flawless, It has a Quick detachable touring Windshield, Removable Passenger seat, Quick detachable Passenger backrest and Luggage Rack. This Slim has a Like Brand new Rear Dunlop Tire and a Low 12,500 miles and is Ready to Ride all Season Long. --- Easy Financing and Canada Wide Shipping. This 883 Sportster features $2,700 in Options and Accessories including Stage 1 with Vance & Hines Short Shots, Kuryakyn Grips, Quick Disconnect Windshield and a Billet Lay Down Licence Plate Bracket.INCLUDES a Robinson 2019 "Power Train" Warranty. OR, Upgrade your Harley Protection Coverage to a 3 YEAR PLAN with North American Wide Coverage - Unlimited Mileage - Parts & Labour - Valid at any Licenced motorcycle dealer or mechanic - From Only $1,295 or from $3 week. This Sharp Charlie Hunnam, Jax, autographed Street Bob features $5,000 in Options and Accessories including Full Stage 1 with Screamin' Eagle Hi-Flo Intake and Vance & Hines Big Shots, 16 inch Apehangers, Nostalgia Grips, Chrome Handlebar Controls, Relocated front and rear Turn Signals, Braided Cables, Lay down License Plate Bracket, Mustang Solo seat with Rider backrest, LED Speedometer, Floating Front Rotor and premium Black Progressive Suspension rear Shocks.The Quick-detachable Windshield shown in some photos is also included. It has 42,100 miles and it INCLUDES our Robinson 2019 Power Train Unlimited-Mileage Warranty. OR, Upgrade your Harley Protection Coverage to a 1 - 3 YEAR PLAN with North American Wide Coverage - Unlimited Mileage - Parts & Labour - Valid at any Licenced motorcycle dealer or mechanic - from Only $895 or from $3 week. Sorry about the dark pics, the sun was long gone...Randy. This Vivid Black XL1200 Custom has $2,500 in Options and Accessories including Deep Sounding Stage 1 Exhaust, 10" Ape Hangers with Braided Cables, H-D Badlander Low Profile Seat, Factory Security and Smoked Turn Signal Lenses. It comes with Two Brand New Tires and only 22,700 miles --- Ask About our Canada Wide Shipping at Great Rates! 2009 Harley-Davidson Dyna Street Bob FXDB Factory Stock Street Bob - Ready to Customize! Looking for a Street Bob to customize the way YOU want it? 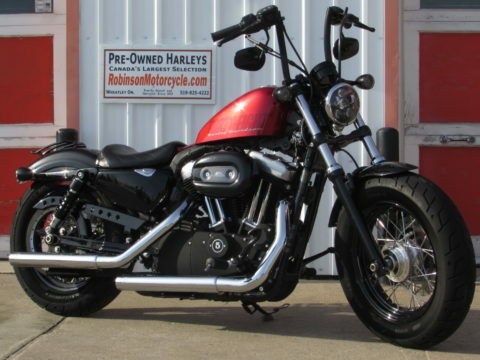 We have this factory stock Dyna that's ready for your customizing. 96 Cubic Inch Motor, 6 Speed Transmission and only 32100 miles and it INCLUDES our Robinson 2019 Power Train Unlimited-Mileage Warranty. This Super Glide Custom in Vivid Black offers $2,500 in Options and accessories including Full Stage 1 with Hi Flow Intake and Staggered Dual Exhaust, Willie G Timing Cover, Hi Way pegs, Rider Pegs and Shifter Peg, Chrome Levers, Passenger backrest and Luggage Rack, Smoked Lenses and Relocated Rear Turn Signals, Live To Ride Handle bar Clamp and Airbox Cover. With 62,400 miles and a New Rear Tire, Its ready to go! INCLUDES our Robinson 2019 Power Train Unlimited-Mileage Warranty. Vivid Black Street Bob featuring $3,000 in Options and Accessories including Stage 1 Samson Exhaust and Hi-Flow Intake, 10 Inch Black Z Bars, Black Braided Cables, Front white wall tire Nostalgia grips, #1 Derby Cover, Hi-way Pegs, and Mini Rear Turn Signals. 52132 miles. 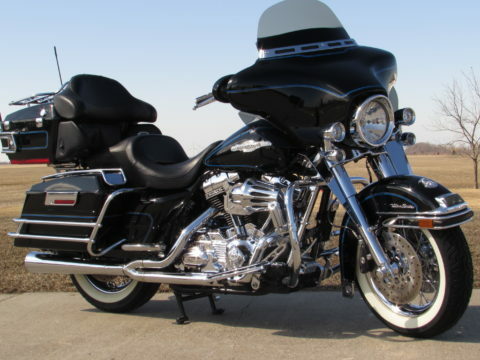 2009 Harley-Davidson Dyna Super Glide Custom FXDC Ready to Cruise or Tour - Only 5,300 Miles! This Silver/Black 2 Tone Super Glide Custom has $4,000 in Options and Accessories including Stage 1 with Hyper-Charger Intake and Screamin' Eagle Slash Cut Exhaust, Harley Saddle bags, Passenger Backrest and Luggage Rack, Touring Style Seat, Relocated Rear Turn Signals, Smoked Turn Signal Lenses, Flame Grips, Live To Ride Derby Cover, Timing Cover, Gas Cap and Handle Bar Clamp, Chrome Regulator Cover, Chrome Control Buttons, HD Matching Passenger, Rider and Hi-way Pegs, and Flame Shifter Peg. ONLY 5,300 miles. ONLY $18 week**This Super Sporty and Comfortable KTM Duke 690 Looks and Rides Great! It's a Local 33,100 KM and 2 Good Tires this Duke 690 is Ready to Ride - Ask About our Canada Wide Shipping at Great Rates! - Cool Sporty Feel and rides Strong with the 690cc Motor. This XL883 features Quick Disconnect Windshield, Kuryakyn Grips, Wide Foot Pegs, Quick Disconnect Backrest and HD Quick Disconnect Saddle Bags and Relocated Rear Turn Signals. Trades welcome and we ship across Canada. This Fat Boy boasts $6,000 in Options and Accessories including Full Stage 1 with Vance & Hines Longshots, Chrome Fat Boy Wheels, HD Deckplate Grips, Floor Board Inserts, Brake Pedal, Shifter Peg and Passenger Pegs, Memphis Shades Gradient Tinted Windshield with utility pouches, Quick Disconnect Saddle Bags, Luggage rack and Passenger Backrest and Relocated Rear Turn Signals. This Locally owned Corbin Freightliner Design 1200 Custom is a Stand-Out and Exceptional Looking Harley! The local owner builder was meticulous in workmanship with Custom Features and it has Well Over $10,000 in Options and Customizing including Full Stage 1 Vance & Hines dual Exhaust, Screamin' Eagle hi-flow intake and EFI Tuning! Its got the Fantastic Condition Corbin Set up with Stylish lockable Saddle bags, Cool and Incredibly Solid Corbin Fairing and Both Fenders, H-D Orange and Black Paint scheme, Chrome Front Forks, Side Covers, Full Chrome Controls and Levers, LED H-D Gas gauge, Full Chrome Swing Arm, Belt Guards and sprocket, Kuryakyn Grips, Custom Leaf Mirrors, Willie G Derby Cover, Passenger Pegs and Shifter, Rider Pegs with Heel Rests. 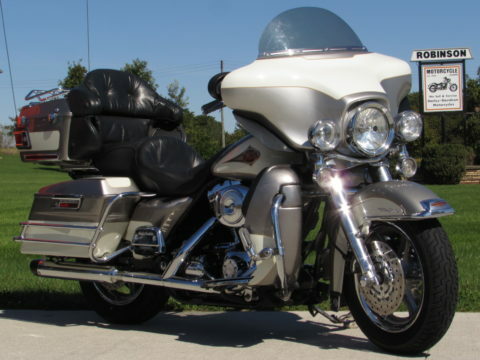 With a Unnoticeable 42,200 miles this Sportser 1200 Custom is Ready to Ride and Does it ever Ride Nice! --- Easy Financing and Canada Wide Shipping at Great Rates! This Clean, Well Maintained Vivid Black Heritage has $5,000 in Options and Accessories including Full Stage 1 with Slip on Mufflers, Hi-Flow Intake and EFI Mapping, Factory security, Chrome Grips and Levers, Chrome Front Fork Assembly, Engine Guards, Live To Ride Fender Tips, Timing Cover, Air Intake Cover, Gas Caps, and Handle bar Clamp, HD Combo Speedo/Tach, Luggage Rack, Chrome Handlebar Control Buttons and Leather Tank Pouch. Corbin just redid the Complete Top End on this bike here in our shop. 102,900 miles and INCLUDES our Robinson 2018 & 2019 Power Train Unlimited-Mileage Warranty. This Super Low KM, Locally Owned and Traded XL1200 in Vivid Black boasts $2,000 in options and Accessories including the Deep Sounding Stage 1 Staggered Vance and Hines Exhaust, Solo Mustang Seat Set up and Rider Backrest, Mini Ape Handle bars with extended lines and cable, H-D Bar & Shield hand Grips, Hi-Way pegs, Timing and Derby Covers, Relocated Integral Turn Signals, License Plate Bracket and a Quick Disconnect Memphis Shades Windshield. With ONLY 12,200 KM This Sportster is Ready to Ride! --- Ask About our Canada Wide Shipping! --- Easy Financing and Low Rates! This Vivid Black Softail FXST is set up for touring or cruising with over $5,500 in Options and accessories including Full Stage 1 with Vance & Hines Big Radius, Hi Flow Intake and EFI Tuning, Hard Painted to Match Saddle Bags, 10Inch tall Bars, Kuryakyn Iso-Grips, Quick Disconnect HD Windshield, Bar & Shield Passenger and Rider Footpegs, Brake Pedal and Shifter Peg, LED Smoked Tail Light, Relocated Smoked Turn Signals, Deep Headlight Ring, HD Upgraded Mirrors, Chrome Regulator Cover, and Live To Ride Derby and Timing Covers. 14268 miles. This Cool 50th Anniversary Sportster XL1200 is Sharp! The Limited Edition 50th Anniversary Sportster XL1200 has all the Smooth Power you could want and is ready to ride! It has a removable Fairing that looks cool and is nice for wind protection, It has a Quick Detachable passenger backrest for extra comfort and the 2 up seat for rider and passenger in mind. This 1200cc Sportster has Stage 1 S&S Throaty Exhaust, Screamin' Eagle hi-flow intake and EFI Tuning for the Fuel Injection. 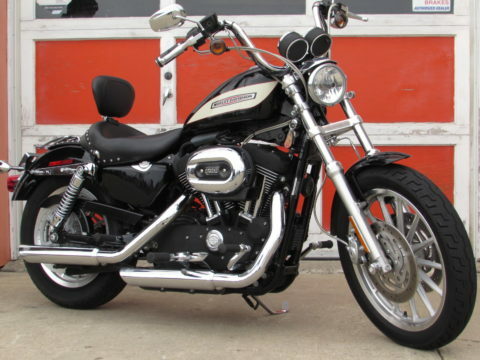 This 50th Anniversary Sportster has Factory Security and nice set of Saddleman leather saddle bags that easily remove, With Only 22,900 local KM a Like new rear Michelin Commander 2 tire and Great Front this Harley is Ready to Ride for Only $22 Week --- Easy Financing and Canada Wide Shipping. INCLUDES a Robinson 2019 Unlimited Mileage "Power Train" Warranty. This Softail FXST in Factory Vivid Black features over $3,000 In Options and accessories including Full Stage 1 with Vance & Hines Big Shots Exhaust, Hi-Flow Intake, Carb Jetting, Beefy T Bars, Smoked front Turn Signals, and Adjustable Lowering Kit. This machine has Only 16,900 miles and INCLUDES our Robinson 2018 & 2019 Power Train Unlimited-Mileage Warranty. The LePera Solo seat shown in some photos is optional and an additional $325 if desired. This Carburated Softail is Ready to Ride and Looks and Sounds Amazing! Easy Financing and Canada Wide Shipping available. INCLUDES our Robinson 2019 Power Train Unlimited-Mileage Warranty. This Sharp locally Owned and Traded Night Train features $8,000 in Options and Accessories including Full Stage 1 with Vance & Hines 2 Into 1 Big Radius Exhaust, Screamin' Eagle hi-flow intake and EFI Tuning! It has Custom Chrome Wheels with matching Chrome Rotors and Final drive Pulley! 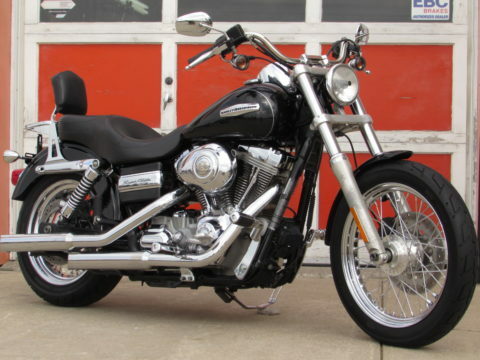 Chrome Inner Primary, 12 Inch Ape Hanger bars with CVO style hand Grips, Braided Cables and H-D Premium Mirrors. It has Front Re-Located Turn Signals and a Rear LED Tail Light Turn Signal Combo, Passenger Back Rest, and H-D Swing Arm Saddlebag for a bit of storage. With Only 41,600 Miles this Night Train is Clean & Looking Good! --- Easy Financing Options --- Canada Wide Shipping available! JUST IN time for the New Year! - $15 Weekly MINT 2006 Piaggio BV 500 - ONLY 7,100 KM - Easy Handling - Very Quick and Beginner Ready. The Automatic Variable Belt driven transmission gives you smooth acceleration throughout the entire range. This scooter can reach maximum speed of 160km/h or cruise 130km/h all day long without any effort to the 500cc engine. 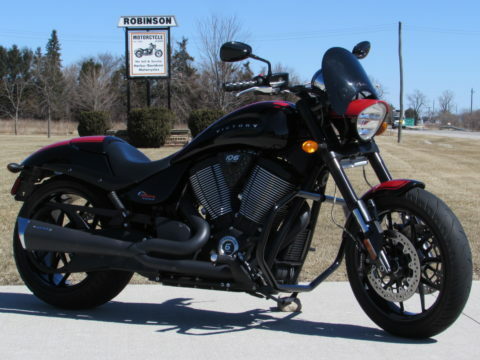 This Amazing 2-tone 2006 Vulcan 1500 is Looking MINT and is Ready to Ride From ONLY $22 Week. With Loads of Touring Nomad Options like: Full matching Nomad saddle bags, Nomad Exhaust, Nomad Wheels, Full Passenger Backrest and Luggage Rack, Upgraded Passenger floor boards, Nomad Engine bars, Added Spot lights for better night riding and a Removable Windshield. 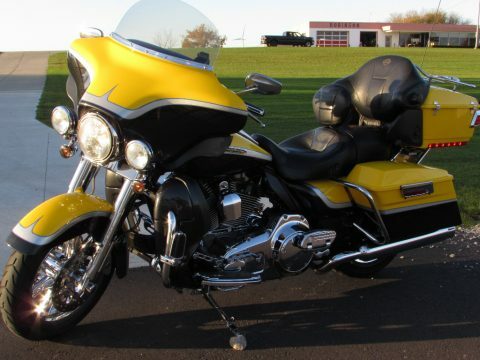 With ONLY 37,100 KM and a Like New Rear Dunlop Touring Tire this 2-tone Vulcan 1500 is Looking Sharp and Ready to Ride --- Easy Financing and Canada Wide Shipping. This Vivid Black Dyna Super Glide Featues Stage 1 with Vance & Hines Staggered Exhaust, Hypercharger High Flow Intake, Bar & Shield Grips, Kuryakyn Rider Footpegs with Heel Rests, HD Clip On Windshield, Braided Cables, Quick Disconnect Hardware, relocated rear Turn Signals and Smoked Lenses. Only 18,275 Miles and INCLUDES our Robinson 2019 Power Train Unlimited-Mileage Warranty. 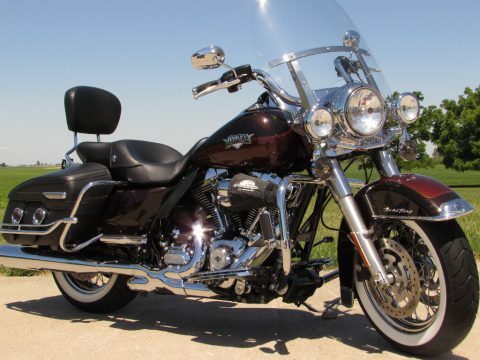 This Classic Vivid Black Springer Softail with OVER $10,000 in Performance & Chrome, this beauty is guaranteed to put you back in your seat with it's tremendous torque and horsepower! A Complete Stage 3 motor with 95ci Big Bore, Cams, CNC Machined Screamin' Eagle Heads with Compression releases, Mikuni 42mm Carb, Hi-Flow Intake and a Thunderheader Exhaust system make this Springer one of the fastest and smoothest Harley's in our shop. Beautiful Diamond Cut Cylinders & Cylinder Heads make this Motor jump right out, and the Ultima 6 Speed transmission gives you effortless highway cruising with improved mileage. Bullet Style rear turn signals, Detachable Passenger Backrest, H-D Derby Cover, Chrome Axle covers all around, and a Harley Handlebar mounted Tachometer round out the Customizing on this Classic Springer. Only 29,600 miles on this Springer, and with a great set of Dunlop tires, it's ready for many miles more. 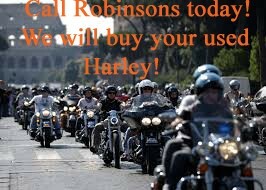 Comes with our Robinson 2019 warranty. 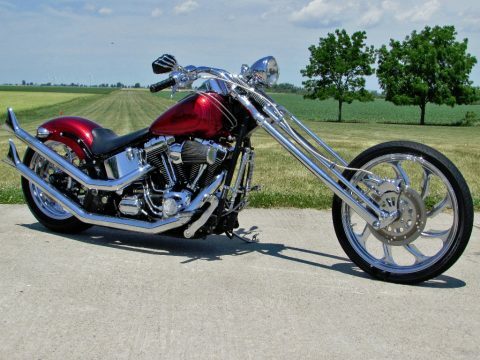 Rare Find - Here is Your Chance to Own this Immaculate One of a Kind 2005 Fat Boy 15th Anniversary Edition which is Simply Amazing! With Over $12,000 in Customizing and Options it includes: Full Stage 1 Screamin' Eagle Dual Exhaust, Screamin' Eagle Hi-Flow Breather Intake and EFI Tuning for Maximum Horse power and Torque! 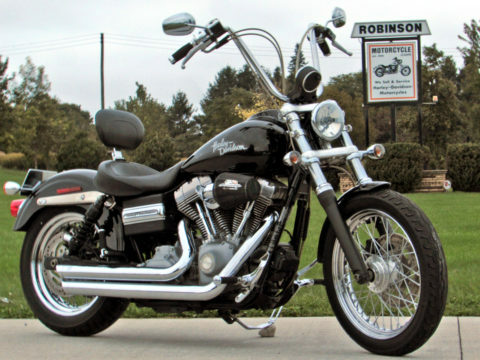 With Custom Chrome 18'' Wheels and Chrome Rotors, Full Chrome Front end and Chrome rear Swing Arm all these Options Makes this Anniversary Fat Boy a Stand Alone Show Harley! It has the Amazing Pearl 15th Anniversary H-D paint with Gold Harley Emblem. This Fat Boy has a Cool Solo H-D Seat, Internally Wired Chrome Beach-Bar Style Handle Bars with Full Chrome hand controls, H-D Grips, Chrome levers and mirrors. Chrome H-D Rider Floor boards with Chrome mounts and foot controls. Lots of H-D Chrome Engine Covers, Chrome H-D passing lamps and Factory Security. 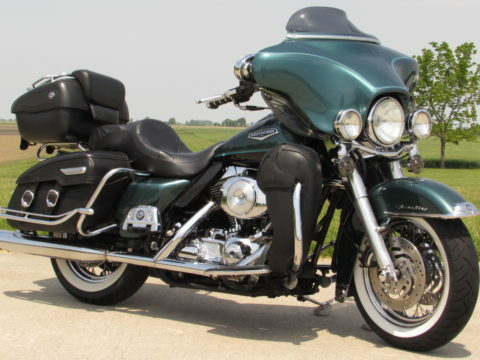 A Like New Rear Tire and With 54,100 Unnoticeable miles this 15th Anniversary Fat Boy is one Incredible Machine! --- Easy Financing and Canada Wide Shipping. INCLUDES our Robinson 2019 UNLIMITED MILEAGE Power Train Parts & Labour Warranty. This 100th anniversary Silver/Black Heritage Classic has $2,500 in Options and Accessories including Screamin' Eagle Upgraded Headlight, Day Maker Passing Lamps, Hi-Flow Intake, Mustache Engine Guards with Kuryakyn Hi-way Pegs and Heel Rests, Kuryakyn Passenger Pegs, Badlander seat, Windshield with storage bag, and Chrome Dash Panel. Speedometer shows 1,500 miles but the actual mileage is unknown. The bike has had about 9,000 miles usage since 2012 in our estimation by tire date and wear but it INCLUDES a Robinson 2019 "Power Train" Warranty. From $ week + tax and licence, at a bike price of $ + tax & licence, at 6,99% with 10% down, up to 120 months, oac. All Open Terms for early pay-out. Choose Your Own Term and Down Payment- Apply Today! This Shadow features$2,000 in Accessories and Options including Memphis Shades Windshield, Stage 1 Slash Cut Exhaust, Kuryakyn Grips, Head Light Visor, Rider Floor Boards and Engine Guards. Come See it Today --- Easy Financing and Canada Wide Shipping. 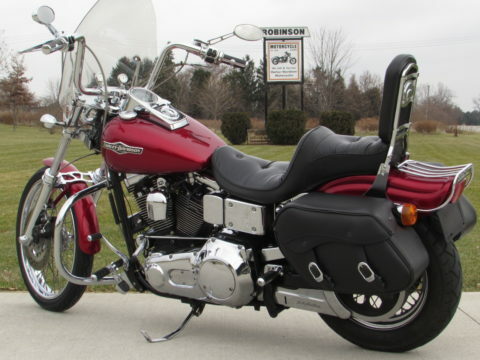 New Price on This Outstanding 2002 Softail has Been Totally Customized and it Shows! With a Low 28,800 miles and Over $6,000 in Customizing and Options including: Full Stage 1 Exhaust, Screamin' Eagle hi-flow intake and Jetted. With Full Chrome Cam cover, Chrome rock boxes and Full Chrome inner Primary this Softail Stands out and will have everyone's attention! This Heritage Softail Classic with Custom 7 gallon tank and 2 Tone Black/Blue paint scheme has $4,500 in Customizing and Options including Stage 1 with Samson Ground Pounders, hi-Flow Intake and Carb Re-Jetting, All Chrome front End with Axle covers, Chrome handle bar Controls, Braided cables, Billet Shift Rod, Tall Backrest, Soft saddlebags, Bullet Turn signals, Billet Mirrors and Tombstone tail Light. 12,200 miles. 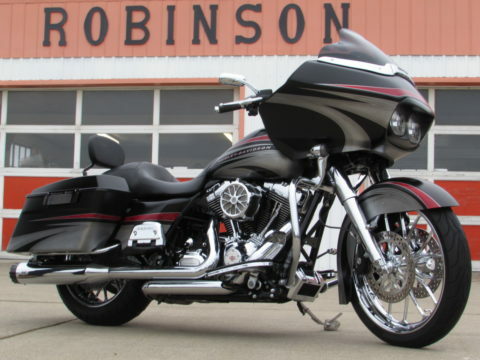 This Locally Owned and Traded Fuel Injected Softail is nice, and was originally sold right here at Robinson's. From ONLY $21 Weekly, It features $3,000 in Options and Accessories including Full EFI Stage 1 with Screamin' Eagle II exhaust and Hi-Flow Intake, Rear Lowering Kit to get you close to the ground, Chrome Derby Cover, Regulator Cover and Windshield Visor, Chrome and Black Grips, Small Handlebar Mounted Windshield and Saddlebags, and more. With a local and easy 49,800 kms and a new set of Tires its in fantastic condition and also includes Robinson's 2019 Year Warranty, This efi Softail is ready to ride across town or tour the country. This Sharp Softail FXST in Sinister Blue features over $4,000 in Options and Accessories including Full Stage 1 with Black Exhaust and Hi-Flow Intake, Big 16 Inch Front Wheel with Fat Boy Fender, Passenger Backrest, 2 up comfort seat, Rider Floor boards, nice Height 8 Inch Bars, Tank Pouch for cell phone etc, and chrome Engine Guards. 39,500 miles this Softail is Ready to Ride. The Quick Release Windshield is Optional and additional at $195 if desired. --- Easy Financing and Canada Wide Shipping. This Factory Red Wide Glide features Over $5,500 In Options and Accessories including Stage 3 Motor with Big Bore, Cams and Screamin' Eagle Heads, Diamond Cut Heads and Cylinders, Twisted Front Spokes, Vance & Hines Long Shots, Braided Cables, Kuryakyn Grips, Foot Pegs and Heel Rests, Brake Caliper Chrome Cover, passenger Backrest and Tachometer., 28,100 miles. INCLUDES our Robinson 2019 Power Train Unlimited-Mileage Warranty. New Price, This long term Locally Owned Wide Glide Twin Cam 1550 Big Bore runs exceptional and is well cared for, and had many services and upgrades done here at Robinsons... Big Screamin Eagle 95 Cubic inch Engine built at Robinson, it runs very Strong and Smooth. 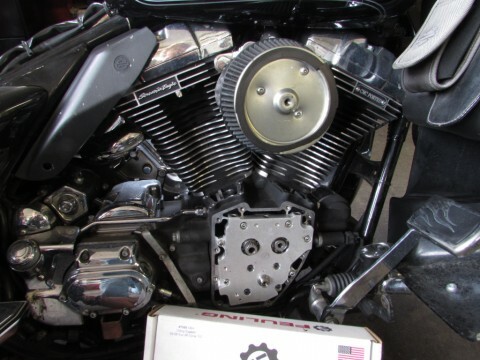 We also installed the Screamin Eagle 203 Cams for nice torque and sound. It's got the Full Stage 1 upgrade including the Deep Sounding Vance and Hines Big Radius Exhaust installed at Robinsons matched to the Screamin' Eagle intake for maximum air-flow. 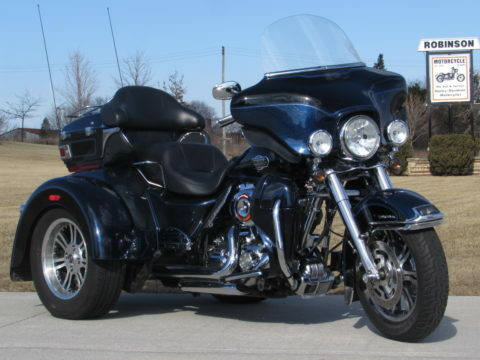 This Comfortable Running Harley Wide Glide has other options like, Upgraded Progressive rear suspension, Removable Windshield, Hi-flow Oil Cooler, H-D Chrome Shifter Linkage and a Cool Headlight with LED ring cover! 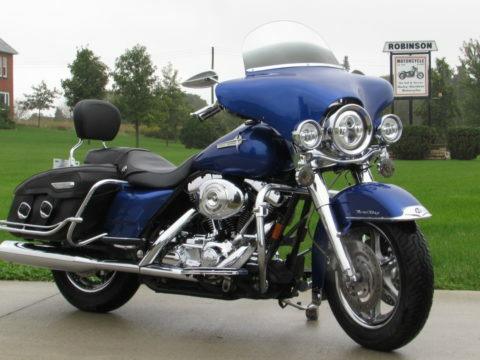 With a Locally owned 82,050 miles this Harley is Looking and Riding Fantastic! 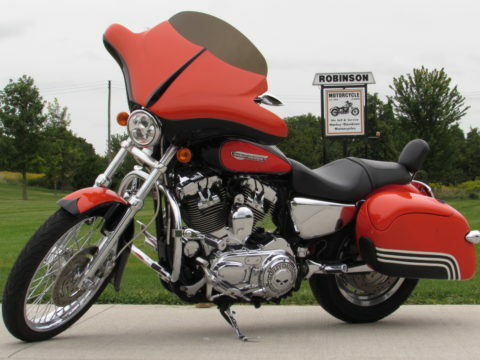 Cole Robinson road test..."Smoother than any Mid-2000`s Dyna`s all day Long!" Easy Financing and Canada Wide Shipping! An incredible looking Evolution Harley, only 35,000 miles, and this Sharp Harley Softail Custom FXSTC Evo can be yours for a Low $29 Week! This 1998 Softail Custom has Over $9,000 in Options and Customizing including: Throaty Stage 1 Python Dual Exhaust and Kuryakyn Hyper-charger Intake. It has a full Chrome Inner Primary, Full Chrome Swing Arm and Custom Chrome Wheels with Chrome rotors and drive sprocket that all look Sharp. This EVO Harley Sotail Custom has Beefy Internally Wired Chrome handle bars with full Chrome hand controls and H-D Grips, chrome lever and braided steel lines and cable. It has Chrome rider foot controls and Chrome H-D passenger pegs, Chrome passenger backrest, luggage rack and other Chrome engine covers. Its got Custom Flame paint and lots of other options. With 35,900 miles and 2 Brand New Harley Dunlop, tires this EVO Softail Custom is a Dream Ride --- Easy Financing and Canada Wide Shipping. This Locally Owned and Traded Low Rider has been well loved and serviced here at Robinsons for the last number of years. It has over $3,500 in Options and Accessories including Stage 1 Vance & Hines Staggered Exhaust, Chrome Forks, Axle Covers and Front Caliper, Kuryakyn Grips, Live To Ride Visors on all Lights, Leather Saddlebags, Engine Guards and Hi-way pegs. 84,970 miles and INCLUDES our Robinson 2019 Power Train Unlimited-Mileage Warranty. Easy Financing and Canada Wide Shipping. 79,900 miles and INCLUDES our Robinson 2019 Power Train Unlimited-Mileage Warranty. This Highly Collectable Evolution Springer Bad Boy has some nice Motor Work which gives it Smooth Horse Power and Torque! Way Beyond a Stock EVO Motor. 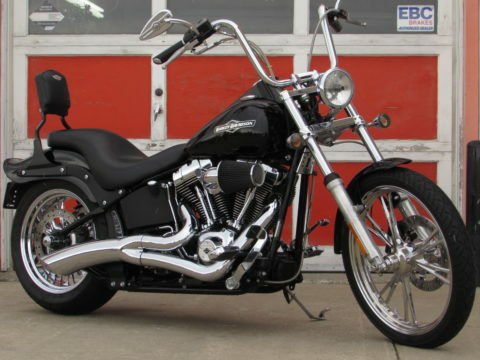 With Stage 2 Tru-Dual Exhaust, Upgraded Cam, Mikuni Carb and Hyper Charger Intake this Softail Bad Boy Runs Strong! 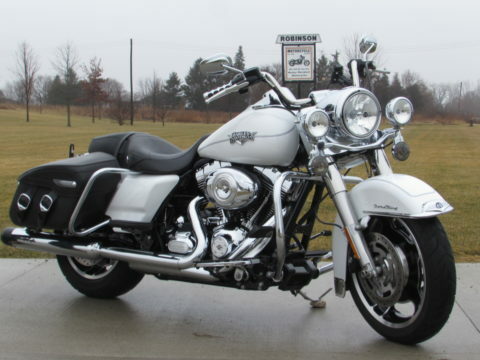 It has Relocated Front Turn signals Bar and Shield Grips, Rear Axle Covers and comfort hand grips, With ONLY 38,300 miles This Must See 1995 Softail Bad Boy Springer is a Rare Find --- Easy Financing and Canada Wide Shipping.